Paying down debt can be a challenge and a long process. I’m excited that I’ll finally have my student loans paid off this year – 7 years before my repayment term officially ends. I have to admit, I would never have been able to pay off my student loans 7 years early without help from side income. 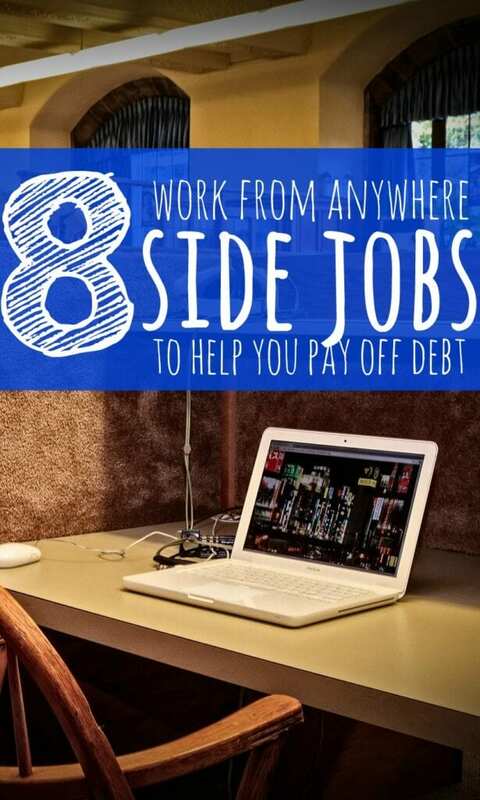 Side jobs have helped me earn more money I could throw toward my debt to pay it off faster. If you’re eager to pay off your debt as well, you’ll need to start making extra payments each month. Here are 8 great side hustle ideas to help increase your income so you can do that. If you have a knack for writing, you can consider writing articles, blog posts and web copy for websites, blogs and businesses online to earn some extra cash fast. I have found that writing onlineis the fastest way to make some extra cash. Freelance writing started as a side hustle for me, but not it’s my main job. Yet and still, each month, I’m able to quickly pick up new writing gigs to boost my income when needed. I also love how flexible freelance writing can be. As long as you have a computer and can connect to the internet, you can earn money writing anywhere and at any time. To find writing gigs, you can always go to job boards like Upwork, Freelancer, and the Pro Blogging job board and apply to jobs. 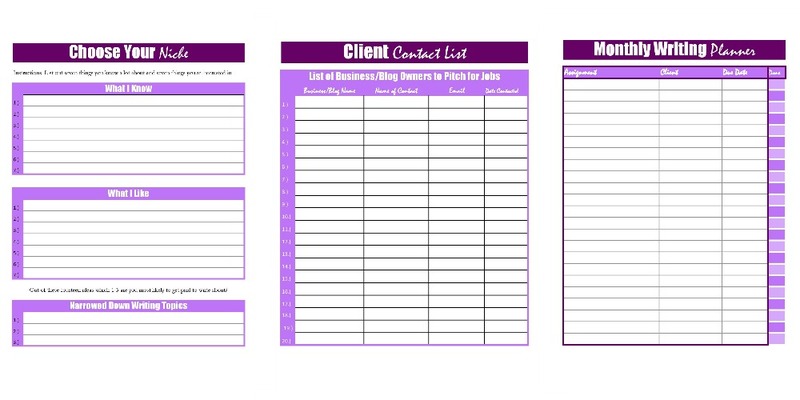 You can also ask your network for referrals or cold pitch clients you’re interested in working with. In this post, I shared 10 ways to land your first client. If you want to earn money really fast from freelance writing, here is a list of 22+ websites that will pay for guest contributor articles. Writing is not the only option you have when it comes to freelancing online. If you have expertise in another field, you could use your skill(s) to make extra money via freelance websites such as Upwork, Freelancer, Guru, PeoplePerhour, FlexJobs, Fiverr, etc. You could find jobs to build blogs and websites for individuals and businesses if you have web design skills. You could find clients who need help with graphic design. Do you enjoy spending time on various social media sites? Then you could find jobs to manage other people’s Facebook pages or Twitter accounts. You could find freelance transcription, translation, programming, and so many different freelance jobs on freelance sites, career sites like Indeed.com and classified sites like Craigslist. Freelancing is a great way to earn extra money. If you are a stay at home parent, perhaps you could do it full-time. Usually, many of us visit shops, retail outlets, etc. on a regular basis. What if you could get paid to do this? Mystery shopping allows you to visit various different businesses and review your experience and interaction with the employees for compensation. You may be asked to go to a restaurant, a retail storefront, or even an auto shop and provide a brief report based on your experience. This is a side job you can easily do if you do not mind traveling a bit and of course while shopping under cover. The average pay for this type of side gig is about $15, but some gigs can pay $30 or even more! You can expect to do up to 10 gigs a month, meaning you could easily make $150/month or more. You can complete tasks on your lunch break and may even be able to walk to some locations. Today, many small businesses often outsource various administrative tasks such as scheduling appointments or meetings, processing data, answering emails, research, booking hotels, etc. tasks to virtual assistants. You may be asked to manage a client’s social media accounts or profiles, design a blog or website, translate documents, and more tasks depending on your skills and the client’s requirements. Some blog or website owners, freelance writers or bloggers may seek virtual assistants to write and schedule/post blog posts, write articles, manage blogs or websites, or perform other tasks for them. Professionals in diverse industries need help with a variety of tasks that need to be completed. Virtual assistants can charge anywhere from $15 – $30 per hour or perhaps even more if they are more experienced. You can find virtual assistant jobs on freelance bidding websites like Upwork, PeoplePerHour, Freelancer, etc. There are some reputable virtual assistance companies like Zirtual, Worldwide101, Fancy Hands, and Red Buttler that hire part-time or full-time VAs. You can choose to work as a freelance virtual assistant or a home-based employee virtual assistant. This side job is for you if you are good at academic subjects such as math, economics, English, etc. You can expect to earn between $10 and $20 per hour, though many websites let tutors work online. You could start your own online tutoring business from home and charge around $20 per hour for subjects like math, English, etc. If you offer a more personalized approach and teach specialty subjects at higher levels, you can charge up to $50 per hour. If you are detail-oriented and have fast typing skills and a quiet environment, then you could become a transcriptionist. 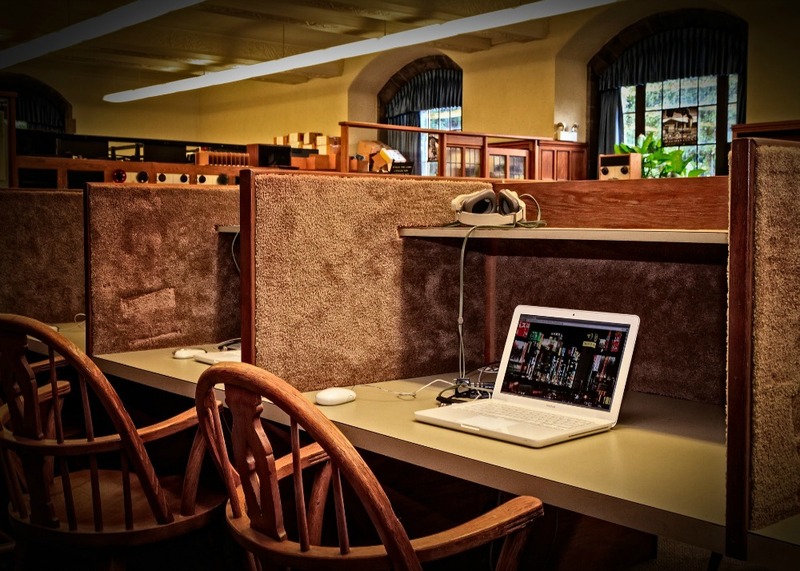 A general transcriptionist listens to audio files that include dictation, lectures, phone messages, interviews, speeches, videos, webinars, etc. in a wide variety of sectors like business, media, law, and the academia, and types of them. How much you earn depends on how many files you can type up. The pay is low for beginners, but as you gain more experience, you can increase your rate or earn more money. It helps if you can type fast with accuracy. Medical transcription is much more specialized than general transcription and involves transcribing a physician or medical practitioner’s dictation. You need to take training courses and have relevant certification(s) if you want to do medical transcription jobs online. Here is a list potential entry-level transcription jobs you can consider. If you are active on social media sites such as Facebook, Twitter, Instagram and Pinterest, then you could work as a social media evaluator. You will ensure that a social media’s news feed is relevant and accurate based on the criteria given. Usually, you will evaluate advertisements, photos, search queries and more as a social media evaluator. If you have good communication skills and are a keen social media user, this is a great side job you can do to earn extra cash to pay off debt. Appen is a reputable company that hires social media evaluators. Data entry is perhaps the simplest online job that does not require any special skill to complete the job. If you are proficient in MS Word and MS Excel, you can find legitimate data entry jobs online to do at home. As a data entry worker or clerk, you will be entering data into different programs or applications. The pay is usually low, but it is also one of the easiest jobs online to do. If you gain some experience while doing low-paying data entry work, you can find better-paying jobs leveraging your experience. Starting a side job can make a huge difference when it comes to getting a hold of your debt and paying it off faster. If you are looking for extra cash to meet your debt payoff goals, the side jobs listed above are some of the best options to help you earn extra money in a flexible way. Have you ever tried any of these side hustles before? Do you have any debt payoff goals you’re trying to reach this year? Really interesting list, thanks for sharing! You should definitely give it a try Francesca. I’m always available if you have any questions. Freelancing is a great way to get some extra money, peopleperhour and flexjobs I actually haven’t looked into before. Tutoring is another good one, and data entry is great if you don’t want to put in ‘mental energy’ into any activity and still make some money. All great tips, thanks for the article! Your welcome! Glad to see you agree with many of these. Great tips given to pay off debt. It depends on us, how quickly we are going to pay off. There are many options available in the world. Very true! Taking action is the best thing to do. Can you give personal website references for ones you have direct experiences with now or in the past or any you know of through friends/colleagues? You know, legit websites with good reputations.